Evidence supporting the use of flucytosine (5-FC) for the treatment of cryptococcal meningitis (CM), a leading cause of AIDS-related death, is overwhelming. The results of the ACTA trial, published in March 2018, demonstrated firstly that a one-week course of amphotericin B deoxycholate (AmB) in combination with 5-FC could reduce mortality to 24%, just over one third of the current 70% mortality rate in many low- and middle-income countries (LMICs). Secondly, an all oral, easy to provide treatment of two weeks’ 5-FC plus fluconazole (FLU) also performed very well and cut mortality down to 35%. Lastly, the ACTA trial clearly showed that 5-FC is preferred over fluconazole for use in combination with AmB. These optimised strategies (one week of AmB + 5-FC or two weeks of 5-FC + FLU) are included in the 2018 WHO guidelines on cryptococcal disease and will become the new gold standard treatments for resource-limited settings. The 2017 WHO guidelines on managing advanced HIV disease puts a focus on reducing the high mortality rate of people living with HIV, approximately one-third of which have advanced disease when presenting to care1. Momentum from WHO, international public health organisations, international donors, leading program implementers and local Ministries of Health (MOH) will only increase around tackling advanced HIV disease in 2018 and beyond. To date, 5-FC remains unregistered and unavailable in African and Asian LMICs, which have the highest rates of CM. 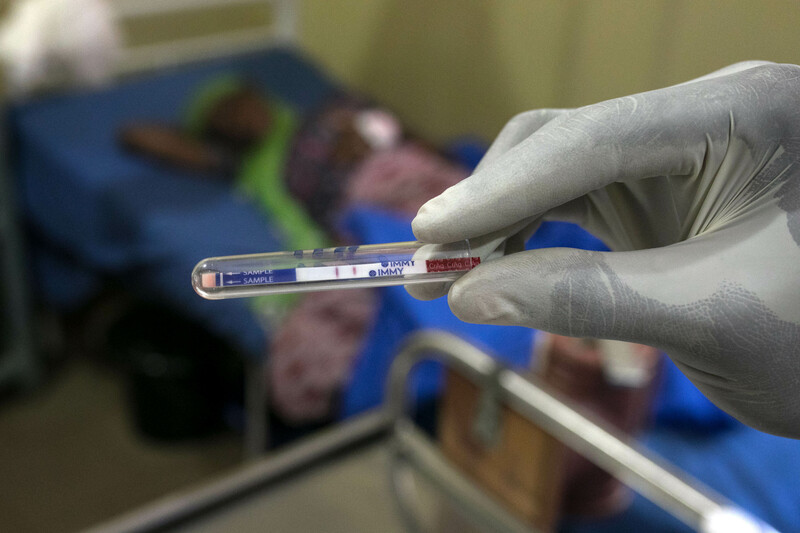 According to the latest data, approximately 181,000 people living with HIV die of cryptococcal disease globally, without access to the most basic essential treatments including 5-FC. The majority of these people live in sub-Saharan African countries. Furthermore, the current dosing schedule for 5-FC (100 mg/kg/day in 4 divided doses) is problematic for resource limited settings. The development of a once or twice daily slow-release formulation of 5-FC is a priority; however, this should not detract from registration and improving access to the current formulations of 5-FC. Ensure capacity for sustainable supply to meet country demands with implementation and scale up.